Holi celebrations are incomplete without its traditional dishes. 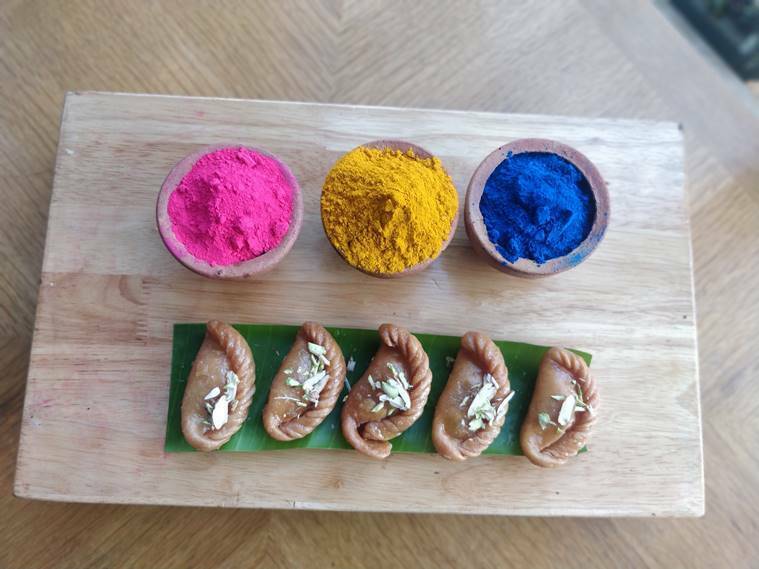 This year, celebrate the festival of colours with your child by making these gujiyas at home. Mix melted ghee with Atta and rub with your palms. Mix all ingredient to a soft mix and fill to the dough equally. Make a thick jaggery syrup and soak for some time .strain and sprinkle roasted sesame seed and mix nut flakes. Knead dough with refined flour, ghee, cooking soda and water and allow it to rest for 20 minutes. Make a stuffing with Khova, chopped cashewnut and cardamom powder. 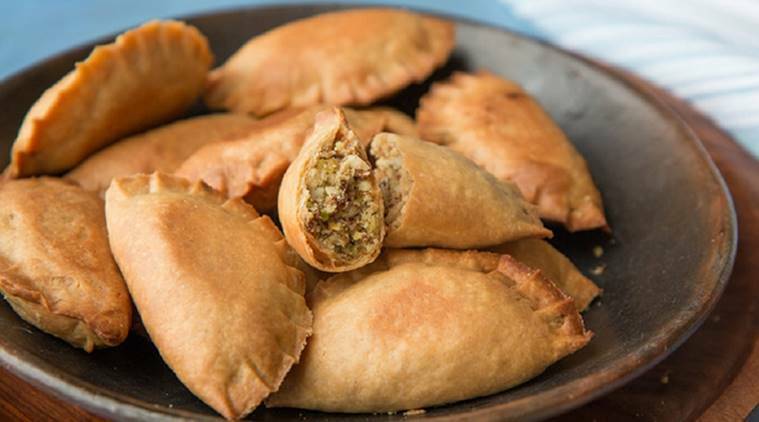 Garnish the gujiya with silver leaves and chopped pistachio.